Humanoid longsleeve top with round neckline and twisted side seams. 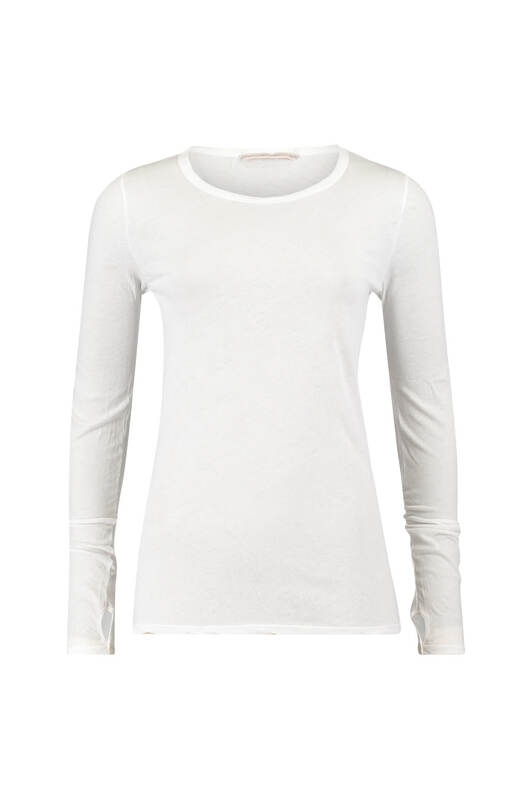 This top is made out of 100% certified organic cotton jersey, with extra soft finishing. Perfect shirt for layering. Size: XS-UK 8 -10, S - UK 10-12 , M - UK 14, The length of the top is 67 cm (size s).